Just before Chrismas my friend and I went for a day in a city, to do what women in the city do:- shop, lunch and gossip about men. During our lunch break we stopped in a little spanish restaurant for a treat and ordered an almond torte that was out of this world:- delicious, citrusy and moist. I had to ask the chef for the recipe. So here it is, my rendition of Torta di Santiago. 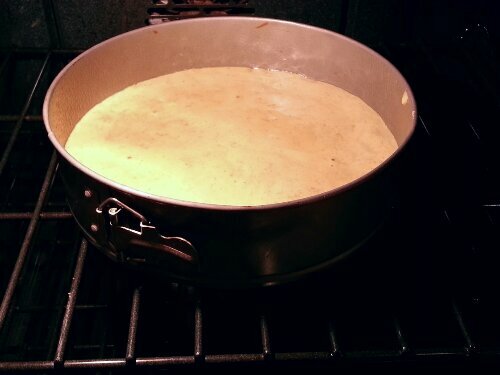 Prepare a 10″ or 11″ baking or springform pan, by lightly greasing the pan and dusting with flour. Finely grind the almonds in the food processor. 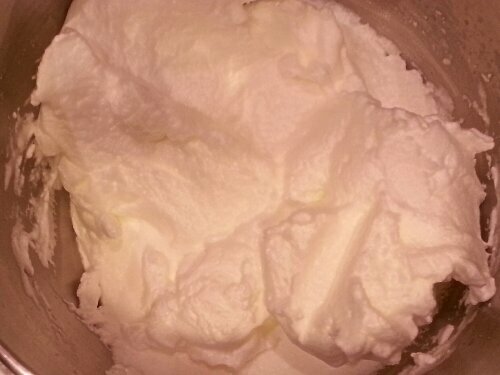 Separate egg yolks from egg whites. Place egg yolks and sugar into a medium bowl and beat the mixture until egg yolks pale in color. 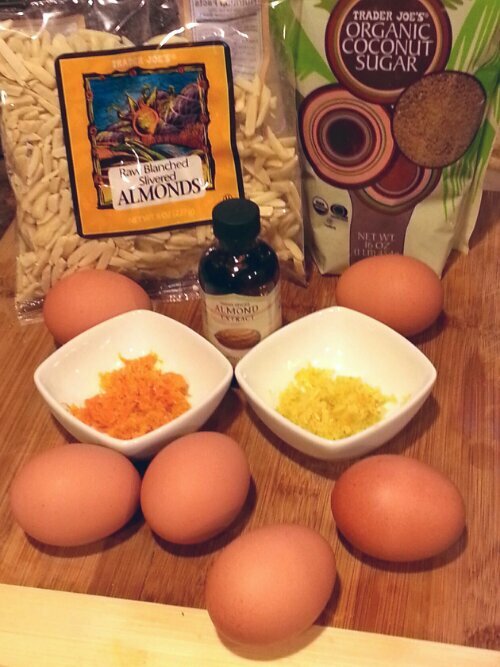 Add citrus zest, almonds and almond extract to the yolk/ sugar mixure and mix. 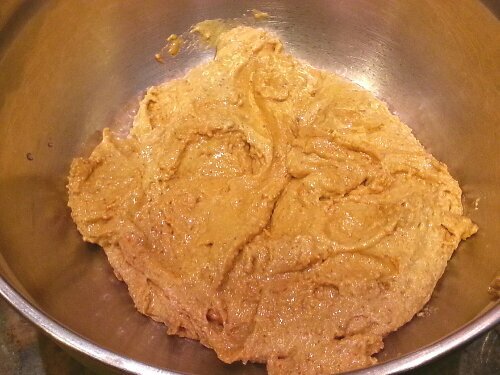 The mixture will be very thick. In a separate bowl, or in the bowl of a stand mixer, using clean beaters or the whisk attachment, beat the egg whites until stiff peaks form. Gently fold the egg whites into the the egg yolk mixture. It will take a little bit of an effort at first. 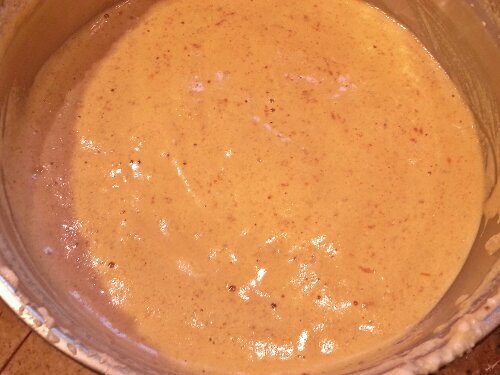 Pour the batter into the prepared pan, and bake for about 40 minutes, or until a tothpick inserted in the middle comes out clean. 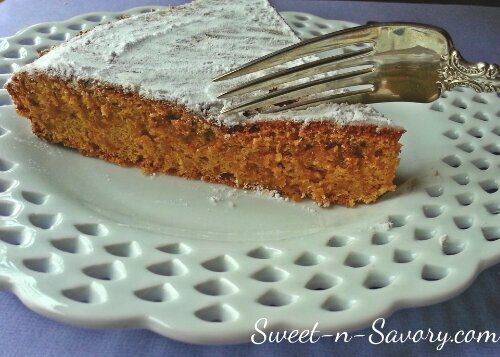 This torte is perfect with tea or coffee. Bon Appetit! Looks so good and the flavours sound amazing! !